Please note: This coffin is NOT PAINTED and beautifully natural. Delivered to your home or chosen Funeral Director. 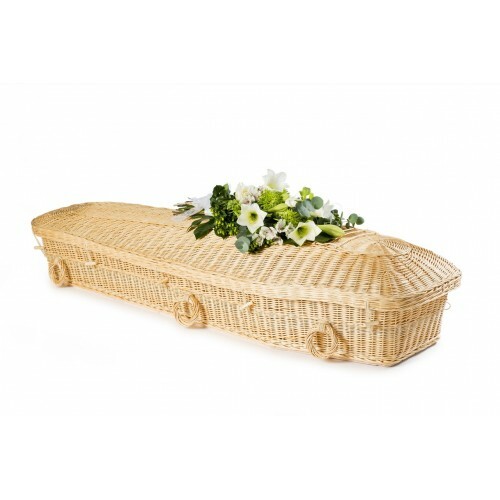 Suitable for either burial or cremation. 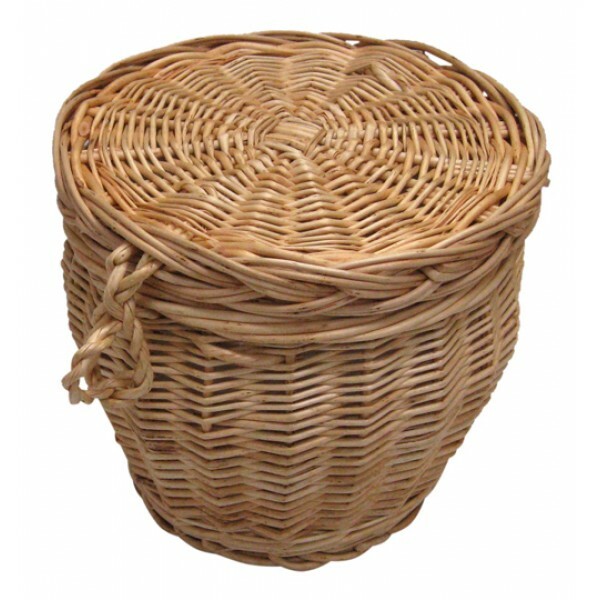 The wicker/willow eco coffin is strong and very attractive to the eye. 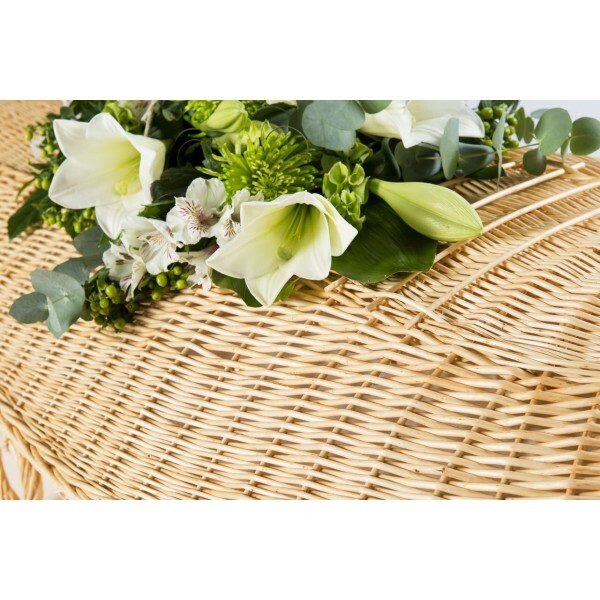 We offer the finest quality and value hand-made Wicker/Willow coffins, including a free cotton liner providing an environmentally friendly alternative to traditional burial methods. 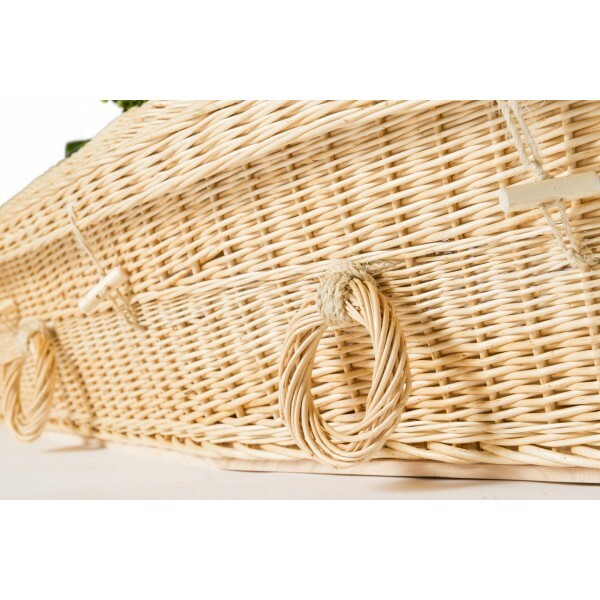 Our work with individuals, families and funeral directors produce uniquely personal and bespoke coffin designs that celebrate the life of a special person. 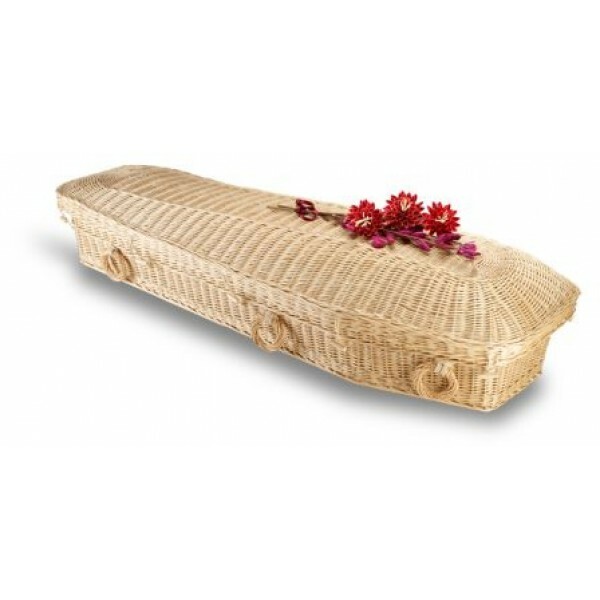 With a tasteful decorative exterior, the hand woven wicker coffin has a sturdy wooden frame construction. Please note; FREE SHIPPING IS NOT AVAILABLE ON THIS PRODUCT, PLEASE SELECT FLAT RATE SHIPPING WHEN CHECKING OUT.